Loan Company Arranging Loans Of £3,000 - £150,000. Loan Terms Of 2 - 25 Years To Suit Your Budget. Over 25 Years Experience & UK Owned Company. 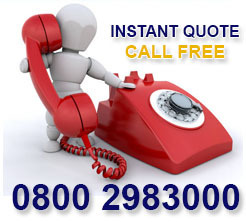 Providing Free & Confidential Quotations. 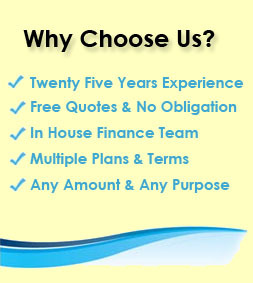 Choose a loan company that has arranged a vast array of loans over the last 25 years. 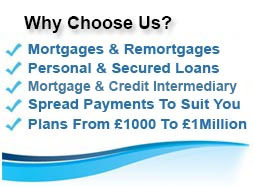 Our lenders offer from £3,000 - £150,000 with affordable repayments and competitive rates. Making the decision that you wish to borrow some money through a loan company is naturally the first step in getting the funds to finish your project, make that special purchase or sort out your finances. Exerience has taught us that life often throws a few curve balls into the mix and that is why we will always aim to arrange your loan whether you have good, fair or bad credit either through our lender panel or associate loan companies. Please call for free on 0800 298 3000 / dial mobile friendly 0333 003 1505, alternatively enquire online and we get to work via our wide loan panel for you straight away. At First Choice Finance we are always happy to confidentially discuss your loan requirements and have been arranging loans from across the UK for over 25 years. In fact our clients have already obtained over £1 Billion in any purpose loans to achieve their goals. What if we cannot help or do not have what you are looking for? - because we have been around for so long we may still know a suitable alternative. Read on to gain a better understanding of which loan types are available and the relevant companies / lenders. Types Of Loan Product & Associated Loan Companies. It is easy to get confused between types of loan product and loan purposes. For example someone may say `I want a home improvement loan`. This describes what the loan is going to be used for but does not detail which type of loan they are seeking. Essentially the type of loan is detailing what sort of arrangement, usually known as a credit agreement, you are going to enter into with the loan company for them to lend the money to you. Probably still the most common loan type. These are generally aimed at the market for lending from £500 to £10,000, over a period of 1 to 2 years for the short term - up to a maximum normally around 5 to 7 years. Some personal loan providers amounts go as high as £25,000, but the average generally runs a little lower. Rates on these loans are a function of the lenders appetite, the size of the loan and how much risk they deem the borrower to be. Often running from 5% to 10% APRC for top rated customers up to 40% to 100%APRC for those who are deemed higher risk or have poor credit through defaults or missed mortgage or loan payments. Loan purposes tends to be pretty flexible and these are often approved or declined by personal loan companies based on automated decisions using software which compares your credit history to their lending criteria. These can be obtained directly from Banks and Building societies, some of which you will be aware of as they are on the high street but other banks only operate on an online basis. They are also available through specialised investment based lenders some of which advertise directly, many of which are available through personal loan finance brokers, who search their lenders on your behalf to see what loans they have available. This is one of First Choice Finance`s intermediary services. These have also been around for a long time and availability together with pricing offered by loan companies in this arena has generally been related to the housing market, funding lines available and the general economic status . They are also referred to as secured personal loans, second mortgages or home loans as they offer the lender additional security on the money they lend to you by allowing it to be secured against the house / property. This enables the loan companies offering homeowner loans to consider larger advances over longer periods, from 3 to 25 years. Although loan amounts start as low as £3,000 some home loan companies have plans going up to £100,000, or possibly £150,000 on referral. Rates range based on credit profile and equity available and can be around the 5% APRC mark up to usually no more than 39.9% APRC for certain bad credit scenarios. As mentioned terms can be longer to make the payments more manageable, however it is usually best practice to keep the term as short as you can reasonably afford to keep the total amount of interest paid back down. These loans tend to be used for either home improvement projects, major expenditure or for refinancing credit via debt consolidation to ease cash flow pressures - although they can be used for virtually any purpose. A few loan companies offering homeowner loans will deal with the public directly, most (usually including the direct ones) offer their loan types through finance brokers / intermediaries. These usually provide advice to you as the borrower and work by sifting through their panel of providers (loan companies) to find a loan that you will qualify for and is most suited to you. The finance broker then carries out the processing on your behalf and arranges the money to be released to you. 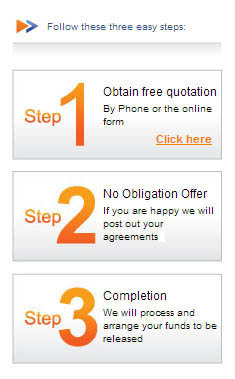 This is one of First Choice Finance`s intermediary services. These are for borrowing smaller amounts from around £100 to £500 over a very short term, usually just a few weeks. They tend to have very high interest rates in the thousands of percentage, but this is partially because the Annual Percentage Rates are based on credit for a year where as these loans are for only a few weeks. Never the less it is still quite a lot to pay back over such a short term. These can be useful as a one of or rare stop gaps to respond to a very short term unexpected cash shortage. E.G. Your boiler has to be replaced, its winter and you do not get paid for 2 weeks. Even then using savings or other credit facilities you may already have available may well be cheaper. Loan companies providing these are usually found and operate on line, as there are lots of messages out these advertising pay day loans you may want to check out the reputation and age of the company before you go ahead. There are also still a few door to door lenders operating in this market, whereby an agent manages the advances of money to you and the collection of payment process by visiting your property. Once again make careful investigations and verify they are properly licensed if you decide to use this type of loan. First choice do not arrange pay day loans. These are listed together but come in two main variants. Joint loans can be associated with either personal unsecured loans or secured homeowner loans and is usually when a couple, partners or a husband and wife add their partner to the application to either increase the chances of being approved (perhaps where one has a lower credit score than the other), to obtain a larger loan by enabling the lender to use combined income calculations or to share joint responsibility for a purchase they are both going to benefit from. Guarantor loans also involve two applicants but in this case the second applicant is only responsible for making the loan repayments where the original borrower does not. These are often used to help people get a loan who would otherwise / have already been refused elsewhere. The guarantor loan providers prefer the guarantor to be a homeowner with a stable income, although the loans are not secured. 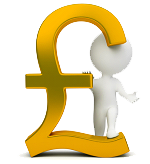 Guarantor loans range from £1,000 to £7,000 with a few providers occasionally offering £10,000 to £15,000. 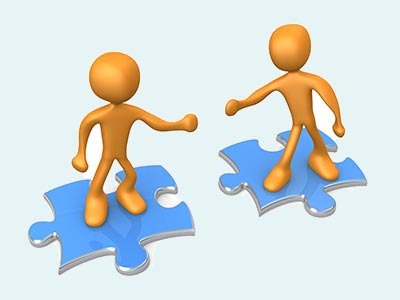 The guarantor could possibly be a relative, friend, work colleague or even a partner but the general rule is that they must not have joint bank accounts with you. Perhaps not as popular as back in the 1980`s and 1990`s but still a useful option when you are looking to purchase a fairly expensive item and do not have the cash to spare or do not want to tap into saving or use another loan type. Essentially you pay a regular amount each month or week whilst having the benefit of using the item, usually a car or caravan. At the end of the agreement the item is yours to keep. There are many variations on how this sort of loan is operated and the clauses within the agreement can be complex so do further research if you are not sure if this is for you. Loan companies in this area tend to either be partnered with a supplier or manufacturer of the item or the agreement is with the item retailer directly, such as branded car dealerships, motorcycle shops and caravan / static home sales houses. The lender will usually have some type of ownership or charge over the item being higher purchased. These also fall under the broader scope of loans. These can be known as `revolving credit` within the financial services industry. The nature of the agreement is that the loan company pre-approves you for a credit limit usually from £250 up to £10,000 based on their assessment of you. You then use the credit facility as and when you need it up to the credit limit. Each month you will be expected to pay of at least a minimum amount of any credit outstanding. Interest charges are applied to the credit used and therefore it is good practice to pay down as much of the balance as possible to minimise your interest payments. Some offer interest free periods when you first join although they may charge a percentage of the balance moved over if you are switching from one card to another. Banks and building societies are forerunners as loan companies in the credit card market, no doubt if you have a current account with a bank you will regularly get asked to take out a credit card with then too. However the high street traders do not have exclusivity and some on line institutions also may offer revolving credit. If you are thinking about switching credit card provider beware that some loan companies offering these have multiple brand named cards out there, so it`s a good idea you are not re-applying to the company you are already with. Store cards are usually supplied through a bank or equivalent and rebranded to match the store selling the credit service to you.